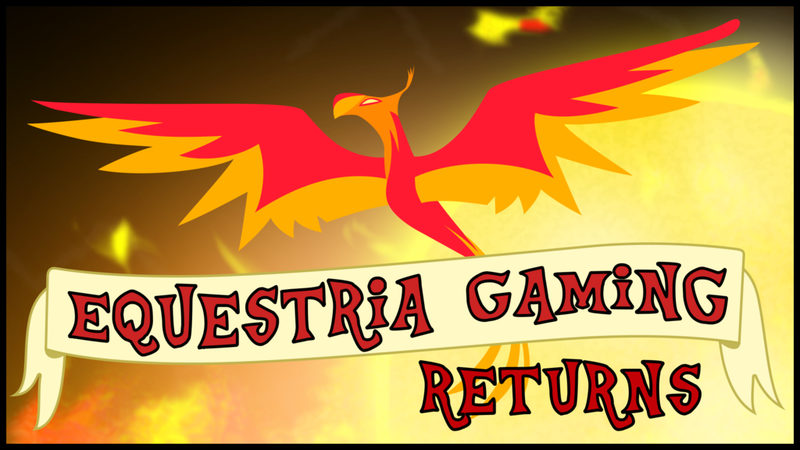 Equestria Gaming: Equestria Gaming is back! As mentioned, back in August last year, the old site was seemingly abandoned, after a couple of months of neglect. No one really did anything about it, or could do anything about it. 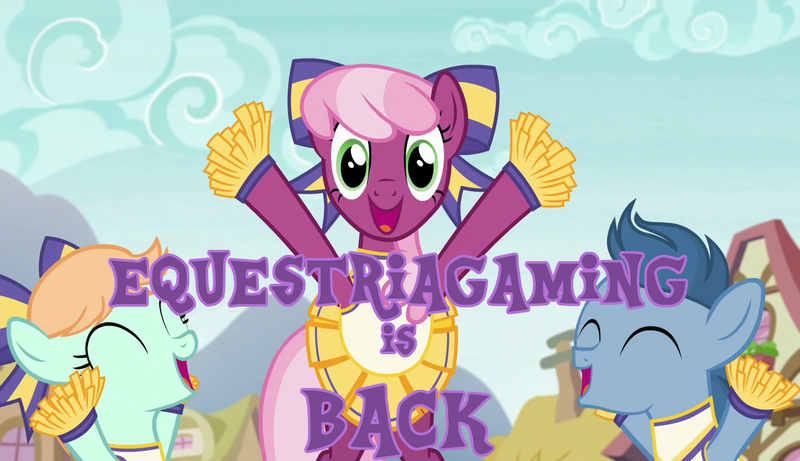 Then, back earlier this year, the last owner RedEnchilada did a brief announcement on Twitter about a week before the domain EquestriaGaming.com ran out. Most remember Xtux, or Tuxxy, being a major name and past owner of the site, but he pretty much disappeared off of the radar, for all that I know. A few people from the MyLittleGameDev forum and I tried to buy the domain from Red, but to no avail. We never received any response from him. I found the registrar, Namecheap, read up on their terms, found the date that the domain should be back into the public for purchase and noted it in my calendar. A few months went by and a few weeks before the date, it was somehow snatched up by the reseller Afternic, who now wants two and half grand for it. No deal. From here the situation changed from trying to inherit the Equestria Gaming to becoming a complete recovery of the site, after mlpfimguy (You really need a name that is easier to pronounce mate) took the initiative to do so. I acquired the equestriagaming.net and .org, mlpfimguy recreated the theme and we got going with the recovery, solely relying on archive.org. With 690 articles to get through this would take ages, so the other day I created a crude but functioning script, that imports all the old posts from the old site. You have to remember only the domain ran out, not the actual site of Equestriagaming.com. It is merely locked away by a redirection to the dead domain name. Hence the Blogger API still works and allows fetching the old posts. This is significantly quicker than recovering them manually, but apparently google limits the automatic posting to 50 posts a day, so you can't go all the way back to the posts of 2011 yet. Give it some days. All the old articles can be found under the Archived tag. Along with the articles themselves, we, this time we as in the administration, aim to recover old downloads as well, offloading them to the equestriagaming.equestria.cloud file server, which we are still working on. All in an effort of not letting the past die. There are some great games that have been entirely much forgotten with time, diminishing the general visibility games have in the pony community, killing off the legacy we have. Oh and the arcade! We shouldn't forget that. The arcade getting rebuilt as well. I personally never frequented the place, but I can't speak of mlpfimguy. Please do submit games you'd like to see there, Html5 as well as flash deals. I hope that this is one step in revitalizing the games community and we'll get to see a lot more content in the future. We are currently only two people working, so do submit material, as we can't possibly keep track of every little outlet and get an overview of every single project and their updates on our own. But for now, let's just rejoice that we have the site back up and running! Huzzah! May it be a prosperous era! Hey, you guys need to get disqus for your comments, it's really weird for me to use my blog account! But it's great to have the site back, rejoice and huzzahs!